Hi all - the Family of KIC need your vote !!!!!!! K.I.C. 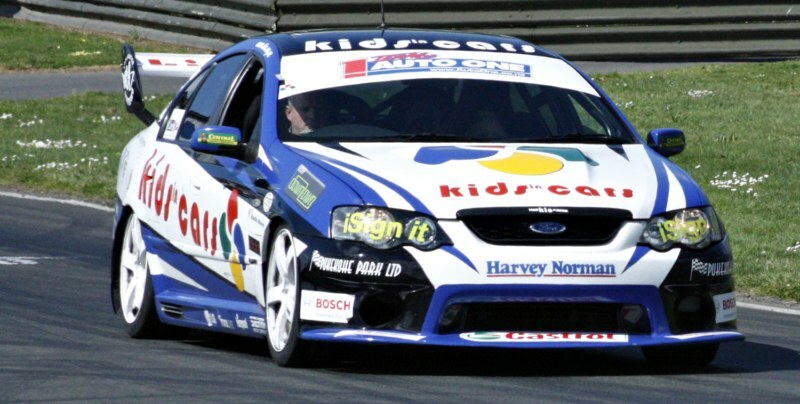 stands for Kids in Cars, an amazing charity that raises money for deserving Auckland and Northland families to enjoy fun track days at Pukekohe Park Raceway. The events cater to children and their families through Kidz First Children’s Hospital and Camp Quality. The organisation was originally set up as a charity to raise money for Children living with Cancer. Five years on from its introduction, K.I.C. is now expanding and will now also be known as ‘Kids in the Community’. “The annual event is always held in conjunction with the beginning of Camp Qualities week long camp for the children and they spend the day at the Park busying themselves with riding around the track in cars and trucks, eating yummy food and playing on many of the entertainment rides”. The $3,000 will help to fund costs of the next family race day. Visit www.kic.org.nz for more information. Successful applications will be shared with our site visitors who will choose who should receive the Believe Scholarship. The successful recipient will be the person who has the most votes from our Believe Scholarship voting page at the end the two month voting period. Vote below for this application by entering your email address. We'll send you an email for you to validate the vote by clicking the link. This is to ensure that multiple votes by individuals do not skew the results. Voting closes 20 December 2009.